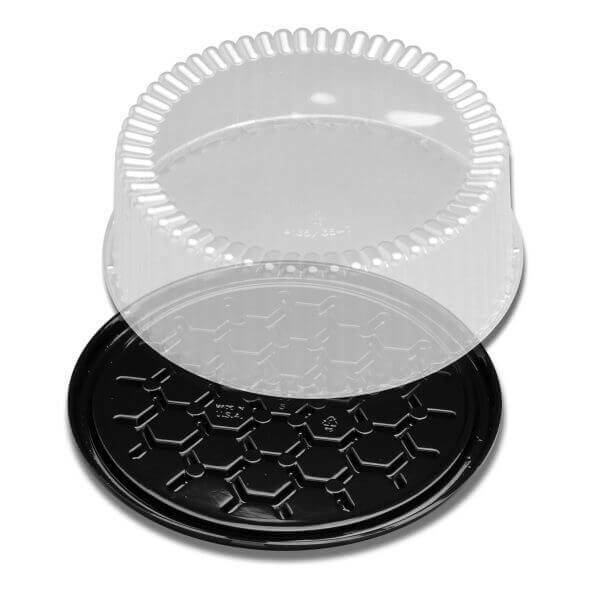 SKU: D&W Fine Pack G33-1 10" 1-2 Layer Cake Display Container with Clear Dome Lid - 10/Pack. Categories: D&W FINE PACK, PLASTIC CAKE/PIE CONTAINERS / LIDS, PLASTIC CONTAINERS / LIDS. Dress your cakes for success! Put the finishing touch on decorated and specialty cakes with elegant domes and sturdy bases that showcase and protect your creations.